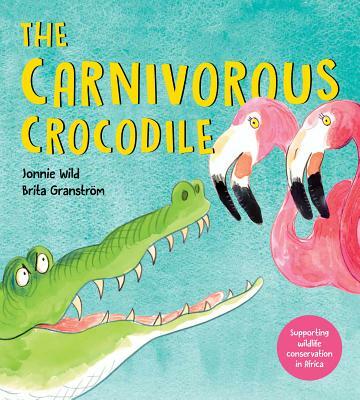 A carnivorous crocodile, Jonnie Wild, illus. Brita Granstrom, London: Otter-Barry, pb. 978 1 9109 5991 6, 2018, £6.99, 32pp. This lively picture book with its satisfyingly repetitious text is one to enjoy. The font is an attractive size and well placed on each page making it easy to read and therefore to share. There is a just enough use of differentiated fonts to encourage emphasis to attract attention without detracting from the design. The illustrations share the same energy and humour filling each spread with lively animals all declaring they are pink and beautiful. The young audience will quickly appreciate the trick and enjoy seeing the bullying crocodile being taught a lesson. The themes of sharing and of bullying are familiar; indeed, they are at the heart of many traditional tales. Here Jonnie Wild and Britta Granstrom create an enjoyable addition to the list and one that delivers its message without heavy moralising. Instead, we are given a light-hearted story where words and pictures combine to raise a smile while the conclusion is completely satisfying – but the message is still there. Sharing is fun.